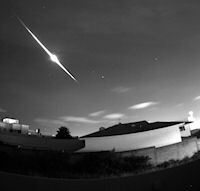 At about 1:05 a.m. PDT a fireball raced across the zenith from northeast to southwest, illuminating the desert surroundings. 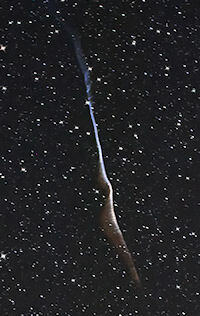 This photo shows the trail left behind for several minutes as it twisted in the upper atmospheric winds. 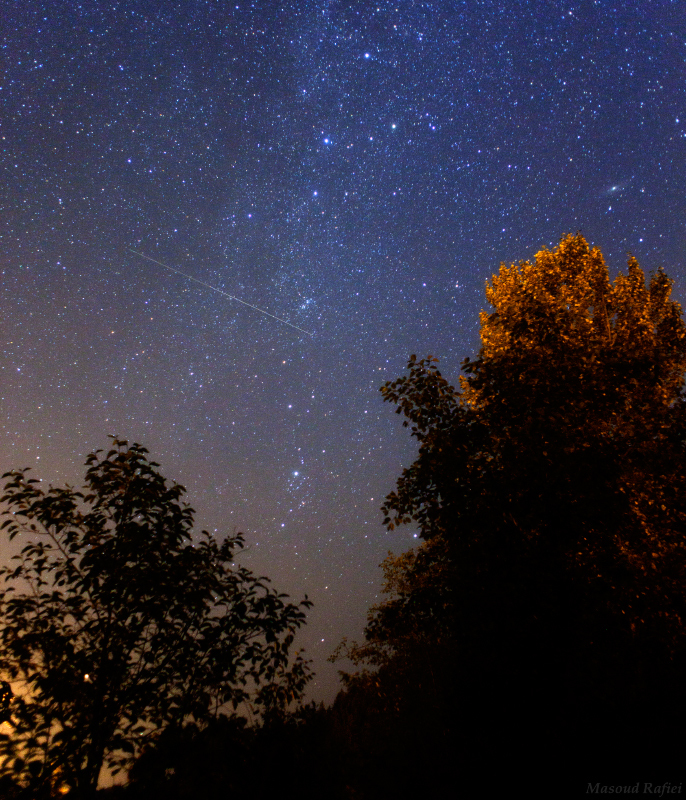 Photo details: Canon 20D, 24mm f/1.4L lens at f/2.0, 3200 ISO, 20s exposure. Hi, I setup a monochrome camera with a 90° lens and pointed it towards the north sky. 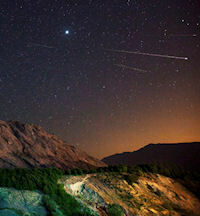 specially for imaging the 2010 Perseid meteor shower. 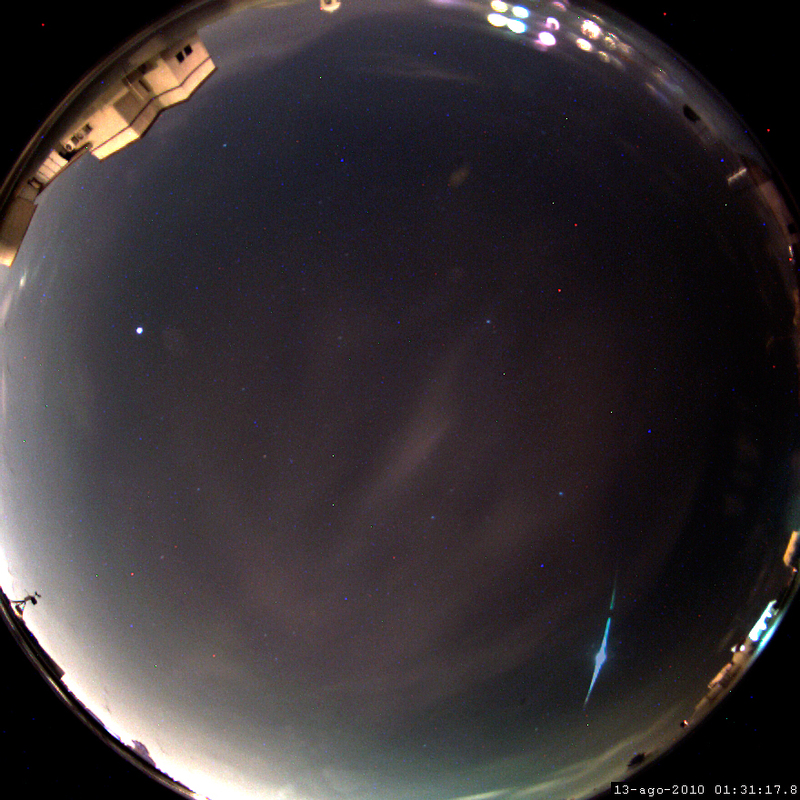 As I am imaging from downtown I just caught this nice Fireball. 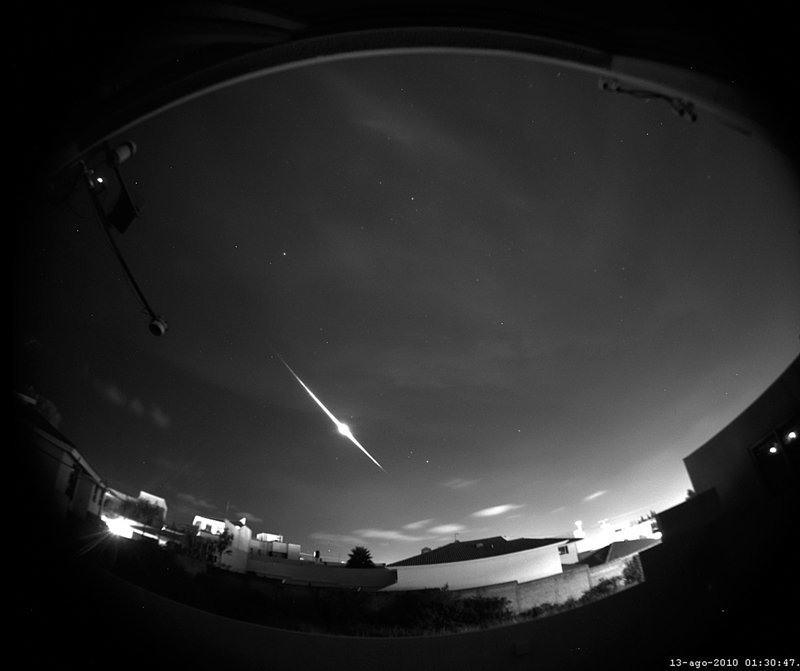 I also made a video of the weather of the whole night ~ 30MB big. Sky was hazy at Alt of 1800 meters. 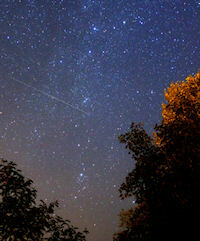 But I was lucky to hunt some meteors. 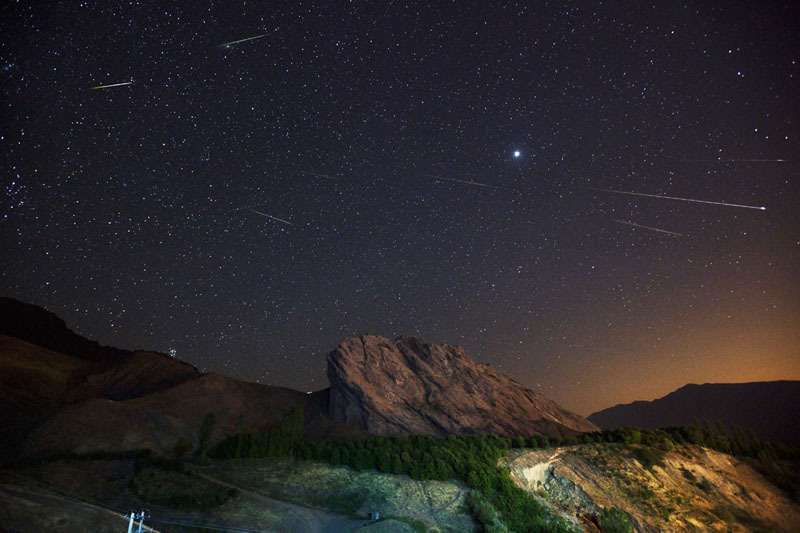 This is view of ancient Alamut castle in Iran. Some of them was as bright as Jupiter. 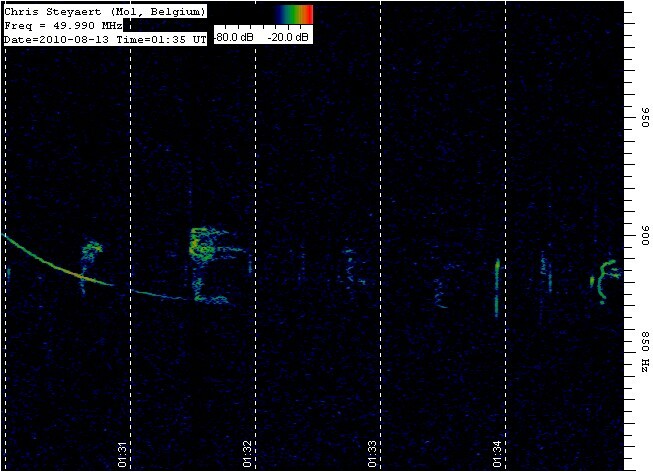 Radio Perseids peaked on Aug 13, 1h UT to 3h UT, in line with the visual observations. 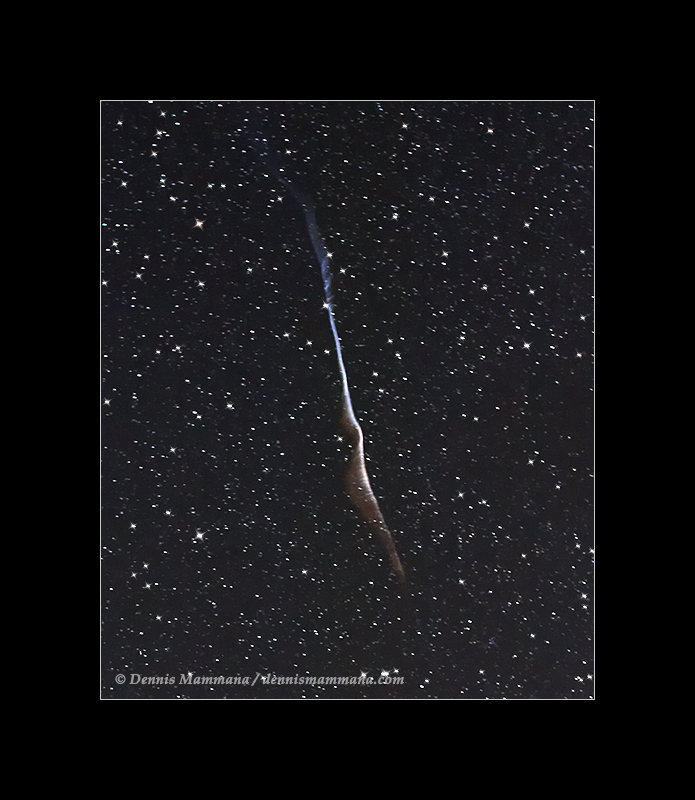 A busy 5 minutes with 12 meteor reflections, most with typical shapes.